Fully Equipped Restaurant Facility w/Type I Hood System Priced to Sell! This place was a long standing BBQ joint on a high traffic location for many years. Current owners changed the concept and decided they wanted out. Currently closed all you need is an idea to get back in business. There is a Type I Hood System with Fire Suppressant, walk in refer, nice size office, genuine wood smoker, seating for approx.35 people and a gross rent of only $1500 a month for this 1400 Sq Ft facility. All the equipment, tables and chairs are in place. This is a great spot for your concept. Excellent location for a caterer who wants to entertain private banquets for 30-40 people on premise, while catering hundreds off site. You decide. There are a couple parking spaces for owner/employee and plenty of free off street parking for guests. There are currently 2.5 years left on the lease with a 3 yr option to renew. 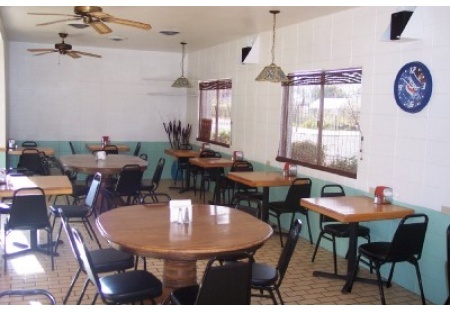 This is a great opportunity to get a turn key restaurant for a small investment. Please select one of the orange buttons below to get more information including locaiton and agent's name.This is a Paramount Restaurant Brokers, Inc. DBA SellingRestaurants.com listing.